Massimo impressed me when he played ‘Ruby Red’ for the cd project that I decided to do something on my own for the project as well. I decided to create a video clip and the camera was running while I did the recording session of the song 'Life is short, life is slow'. You can say that the video clip is a live registration and doing it was fun :-). I hope that you will enjoy the song . 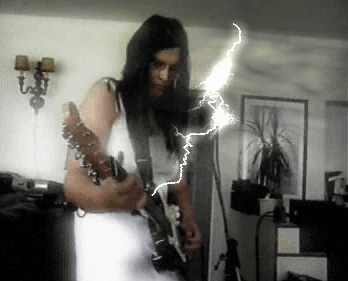 . . "
View this video and go to "HN CD Project"
to download a free version of QuickTime. 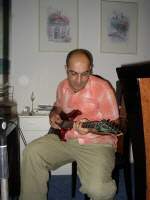 Massimo's version of "Ruby Red"
Massimo visit me in Amsterdam on July 17, 2004 to do a recording session at my place. Massimo turned out to be an amazing guitar player. 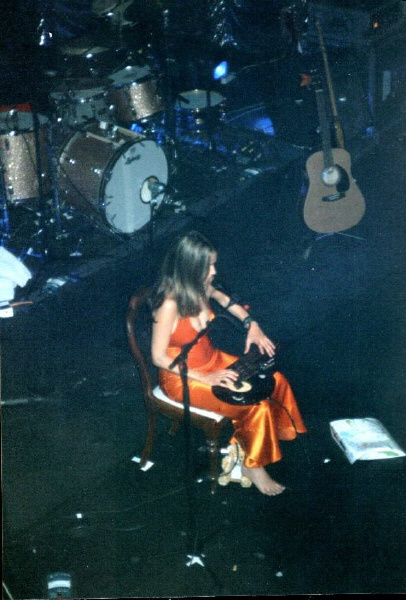 Listen to his version of Heather's Ruby Red and go to "HN CD Project"
Axel, a devoted Heather Nova fan, send us more pictures from Heather's Birthday on July 6, 2004. Go to the section "Articles, Birthday gig, more photos" to see his contribution. Read more about this article under the section "Articles, Birthday gig" (here you can also see a photo gallery provided by Mike Smit. I organized a small ‘after party’ with a few people from the mailing list and made a reservation in a local restaurant in Amsterdam North (the part of Amsterdam where I live) and it was too bad that Massimo and Ewout (editor and webmaster of heathernova.com) and Mike Smit (photographer) couldn’t be there with us. 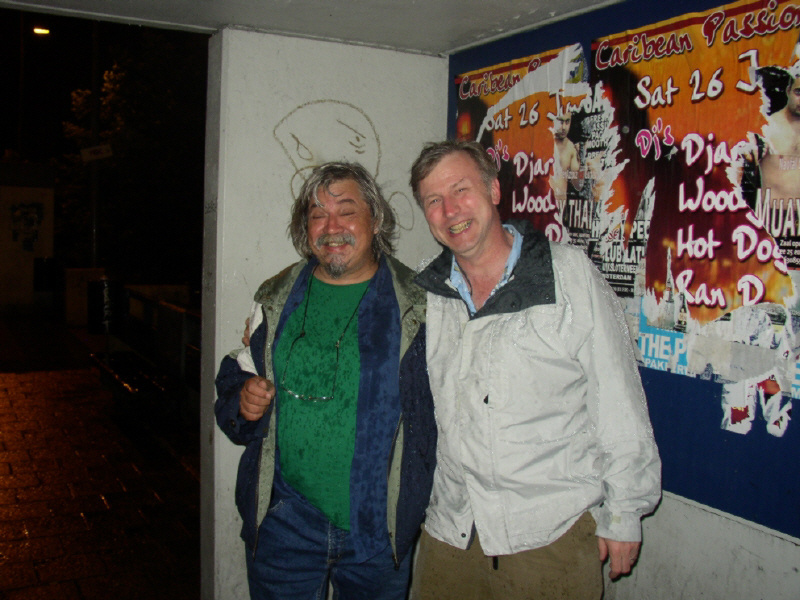 Read more about this under the section "Articles, Birthday gig, The after party"
Axel and Perry, two very good friends And still smiling despite the rain . . .
We had to wait for a long time before the DVD was released but now we can see Heather's performance at the Union Chapel in the UK. The band members are : Matt Round - Bass, Luke Bullen - Drums & Percussion, Glen Scot - Keyboards & Backing Vocals, Heather Nova - Guitar & Vocals. A new contribution to the CD Project: 'Spinning' by Mark Johnson. More fun on the Heather Nova Online Magazine with Online Java games for the young and old. Just go to http://www.heathernova.us/games/ and have some fun! P.S. if you like the games, than please pass it onto your friends, it is also a nice way to promote Heather Nova. Thanks! I feel sad right now because my ‘child’ died last night. I am talking about my bunny, ‘Nijntje’. She had a good life, because she never lived in a cage and jumped around the house all day. She became five, which is a respectable age for a rabbit but I am going to miss her anyway. An animal can give you so much love . . . Nothing is going to last forever . . . that is the way life is, I know. But it does not take the pain away . 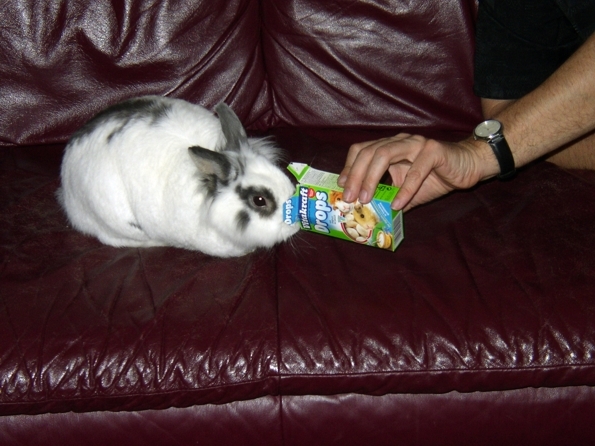 . .
My bunny named 'Nijntje' died on the same night that I upload the video 'Life is short' for the CD-Project. This song is now dedicated to my bunny. I'm going to miss her. 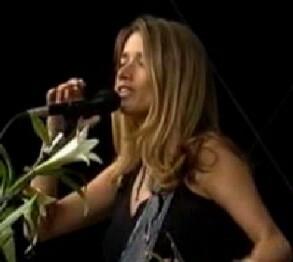 Heather Nova is known as an active lady and perhaps you can call her ‘an air condition gipsy’ because she spent a lot of time on the road. 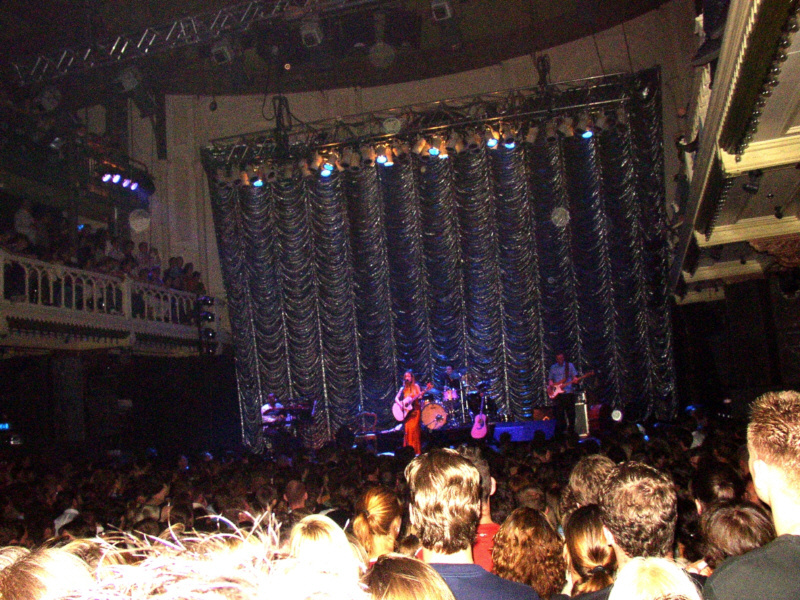 Heather is someone who take a break of a half year and than you will find her at some gigs. She will start in Germany on June 26, 2004 at the summer festival in Munich. She will also join the Varus-Open-Air Konzert in Germany on July 3 and will give a concert in "Paradiso" on July 5 and 6. On July 7 she will be in Tilburg. On July 9 she will be at the "Outside festival in Dieseldorf", Switzerland.